On-Time Web Mobile™ brings the ease of use and power of the On-Time Web™ platform to your iOS mobile device. 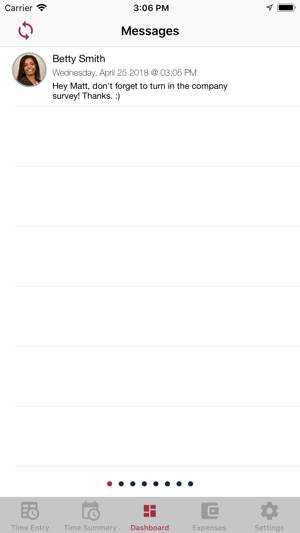 Once signed in under your user account, making a punch is as simple as opening the app and hitting a button! You can even make punches without an active internet connection and they will automatically be synced with On-Time Web when one is available. Create punches and browse recent punch history, all from your mobile phone while on the road or on the job site. You're always logged in so making the punch is fast and easy. 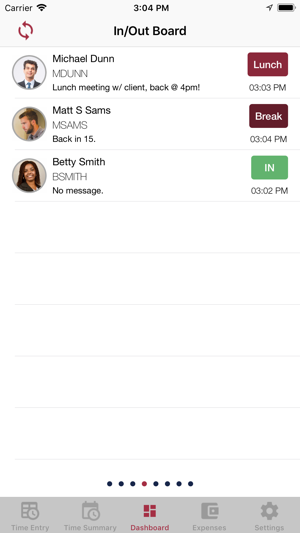 Web Mobile™ the ability to clock in yourself and your employees is just a touch away. 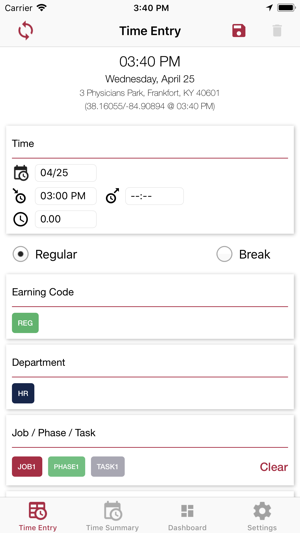 NEW: Expense tracking arrives to On-Time Mobile as an add on to our standard package. 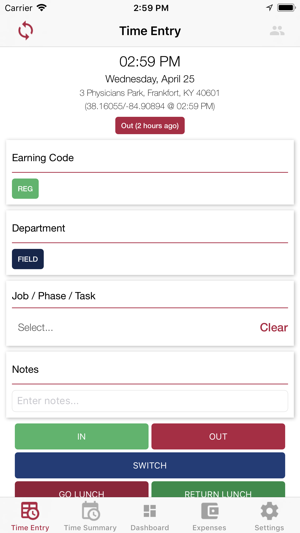 This tool gives employees the ability to easily enter expenses, attach pictures of receipts and submit them for approval all from their device. NEW: Want to keep track of who's at work, who's not, and what they're up to? 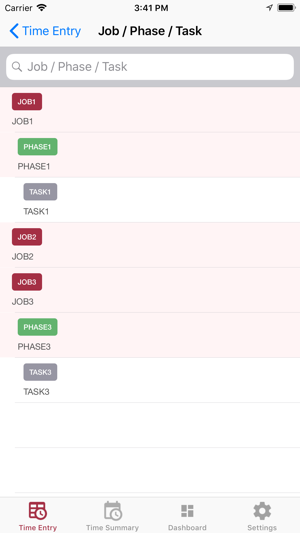 The new In/Out Board functionality allows you to see the status of all your employees at a glance. 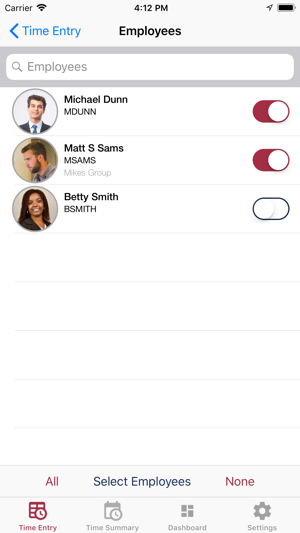 NEW: Concerned about where your employees are making their mobile punches? 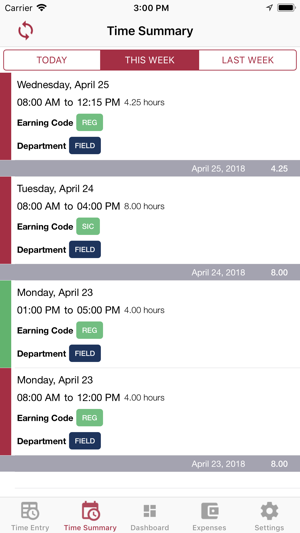 With the addition of enforced geo-tracking you can choose to not let your employees record a time entry without having a valid GPS-provided location available. This way you can always be sure that time is recorded accurately. To enable geofence and geotracking capabilities this app utilizes the GPS in the background. Continued use of GPS running in the background can dramatically decrease battery life.